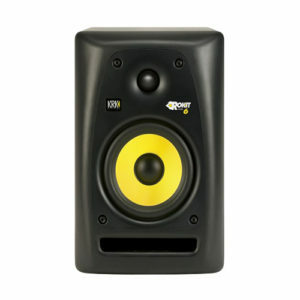 The ROKIT 10-3 G3 is the largest and only 3-way, midfield studio monitor in the ROKIT G3 series. The ROKIT 10-3 G3 includes a 1″ soft-dome tweeter, 4″ midrange driver and 10″ glass-Aramid composite woofer for extended frequency response from 25Hz – 30kHz with maximum vocal clarity and bass performance. 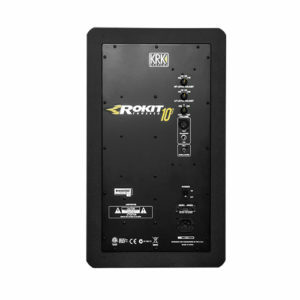 The proprietary tri-amped, class A/B amplifier delivers SPL up to 113dB and multiple input connections ensure the ROKIT 10-3 G3 will easily connect to most systems. The rotatable midrange module, waveguide, radiused front baffle and front-firing bass port allow for flexible positioning in any room. 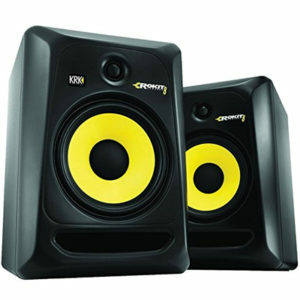 Introducing the third generation of Rokit active studio monitors from the studio sound experts KRK. 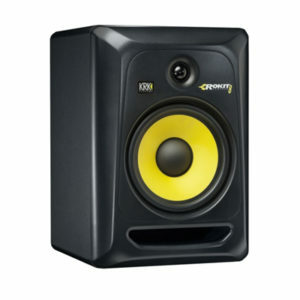 These KRK Rokit RP5 G3 5″ powered studio monitors truly are the UK’s best selling model and when you hear them, you will know why. 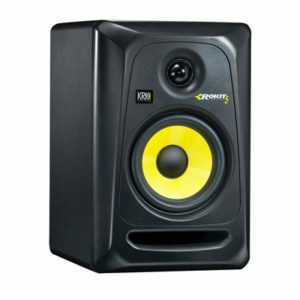 KRK RP6 G3 is a 6″ powered studio monitor and comes from the third generation of, what are now, the worlds best-selling studio monitors. 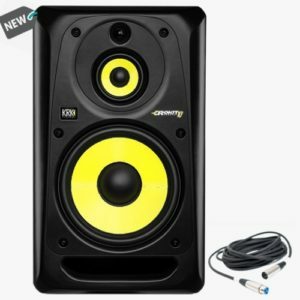 These 6″ full-range professional monitors are perfect a wide range of applications including small studios, DJs and home setups. 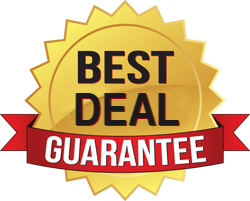 Offering superior quality sound reproduction and sturdy build-quality at an affordable price, it’s easy to see why the Rokit series has become the first choice for many music professionals. 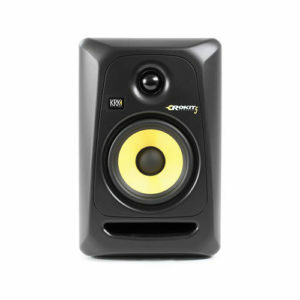 RP6 G3 uses an uprated version of KRKs trademark yellow glass-aramid mid/bass driver which is strong, rigid and provides a wealth of tight, punchy bass right down to 38Hz. The top-end is handled by a single 1″ soft dome tweeter which ensures crisp, clear vocals, superb response on fast-transition notes such as snares. Thanks to superior components and sophisticated onboard crossover, the RP6 G3 can handle high frequencies right upto 35kHz. 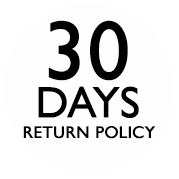 The third generation of RP6 uses class A/B technology. This highly-efficient amplification class loses very little energy making the Rokit monitors suitable for extended monitoring sessions as they generate little heat. Another benefit of class A/B amplification is that it delivers smooth power delivery across all output levels making it perfect for both low-level monitoring and high-volume playback.